Note: Folder mode is recommended for most users. Category mode is mostly present in GogTasks for backwards compatibility reasons. 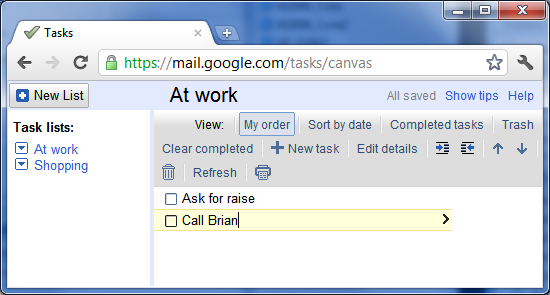 In Category mode, GogTasks synchronizes Outlook tasks with Google Tasks so that a Category equals a List at Google. 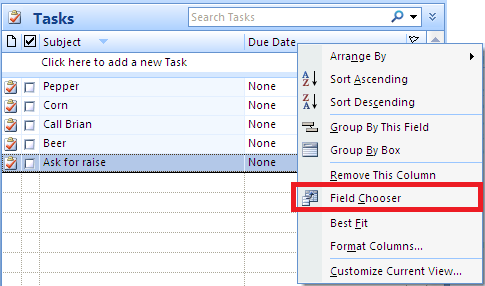 In this mode all tasks are stored in one single Outlook Folder selected by you. 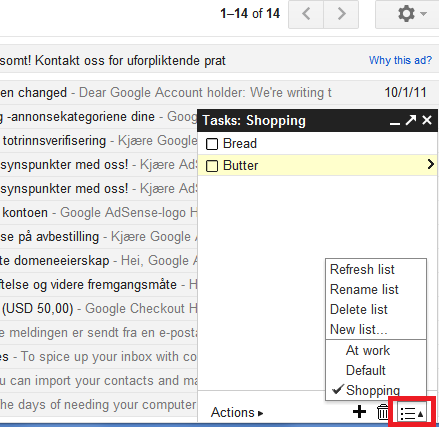 Now in this example, the tasks are spread across two categories, which will end up as two lists at Google. To better separate the categories/lists in Outlook, I recommend sorting by the category by clicking at the header. 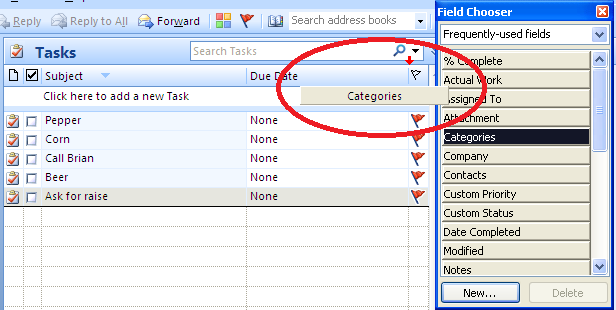 This gives you the added benefit of being able to assign the categories to tasks simply by drag-dropping them between the regions. Google Tasks Canvas only shows one list at a time. To change list, click at the link in the "Task lists:"-column to the left. 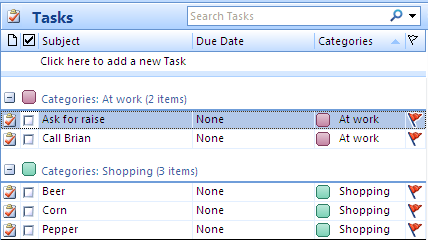 Note that Outlook supports assigning multiple categories to a task. This poses an issue. See the Multiple categories article for more.